Prime Seating guarantees a spot in the first two pews of the church and is available here. 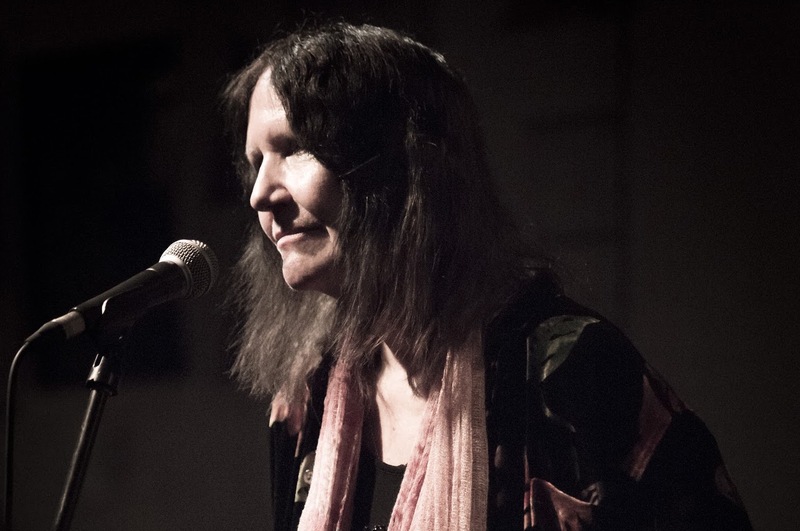 Patty Waters is a visionary avant-garde vocalist and composer, best known for her groundbreaking 1960s recordings for the legendary free jazz label ESP-Disk. Captivated by the music of Billie Holiday, she sang with Bill Evans, Charlie Mingus, Chick Corea, and Herbie Hancock before coming to the attention of Albert Ayler, who introduced her to ESP-Disk’s Bernard Stollman. The rest is history. Recorded with pianist Burton Greene, Waters’ haunting 1966 debut Sings juxtaposes a side of hushed self-composed jazz ballad miniatures with an iconoclastic take on the standard “Black Is the Color of My True Love’s Hair”. Sharing Ayler’s affinity for the deconstruction of folk idioms, Waters dismantles the tune through a series of anguished wails, moans, whispers, and screams that cemented her reputation as a vocal innovator, predating the extended techniques of Yoko Ono, Joan La Barbara, and Linda Sharrock, and cited as a direct influence to Diamanda Galás and Patti Smith’s own freeform vocal excursions. The mythic side-long exposition stands as one of the 20th century’s most harrowing expressions of madness and grief, its incantatory mutilation of the word “black” into a full-spectrum monochrome resounding with a particular potency at a time when battles for civil rights were erupting across the country. After recording a second ESP-Disk album and an exceptional lyrical take on Ornette Coleman’s “Lonely Woman” with The Marzette Watts Ensemble, Waters disappeared from the music scene, moving from New York to California to raise her son (with the Sun Ra Arkestra’s Clifford Jarvis, in absentia). It wasn’t until 1996 that she returned with a new record of jazz standards associated with Billie Holiday and began performing sporadically, most notably at the Monterey Jazz Festival and in Belgium and Paris with Henry Grimes. Her Blank Forms concert—with original pianist Burton Greene as well as bassist Mario Pavone and percussionist Barry Altschul, both veterans of Paul Bley’s ensembles—will be Waters’ first New York appearance since 2003. Equally adept at channeling the heartbroken intimacy of Lady Day and the catharsis of The New Thing, Waters has lost none of her fire and remains one of the greatest living jazz singers. First Unitarian Congregational Society is not wheelchair accessible. There are steps leading up to the building and we are happy to accommodate anyone who needs assistance. It is located two blocks away from the Court St. R subway stop. Please write at least three days before the event and we will make every effort to accommodate you.